We thrive on great people. Our team come from all walks of life, yet each bring a particular skill set – from architecture and design to consultancy. But we all put you as our number one priority, delivering your vision without compromise. We can’t list all of our great team, but here are our most senior people. 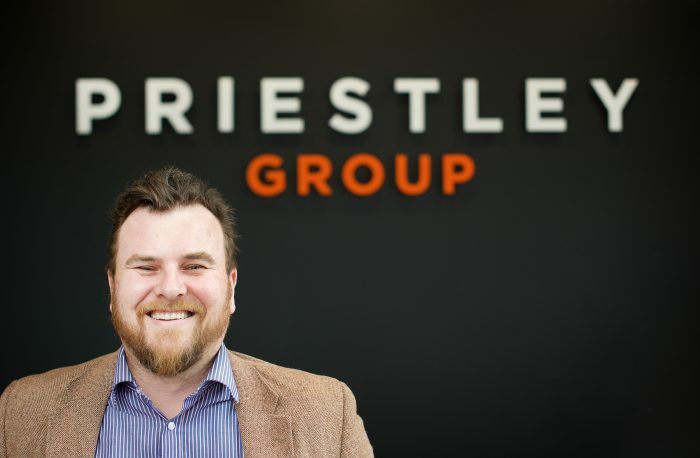 Nathan is the Founder and CEO of Priestley Construction as well as our sister companies, Priestley Homes, Priestley’s and 30+ subsidiaries contained within the group. 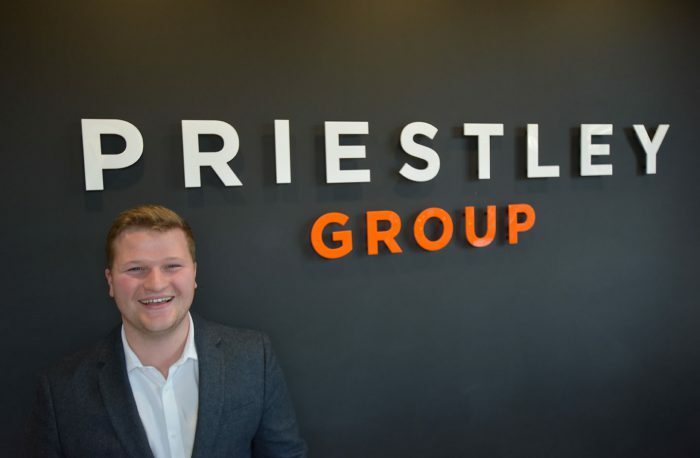 After working in the property industry in agency and then as a consultant, Nathan decided to start Priestley Construction following the successful launch of Priestley’s, now the successful estate and lettings agency within the group. Priestley Construction has experienced unprecedented success and is now a main contractor with clients based across the globe. Delivering projects from office refurbishments to huge listed mill conversions, the company is now a leader in this sector with Nathan directing the company from a standing start, to an award winning conversion and refurbishment specialist. 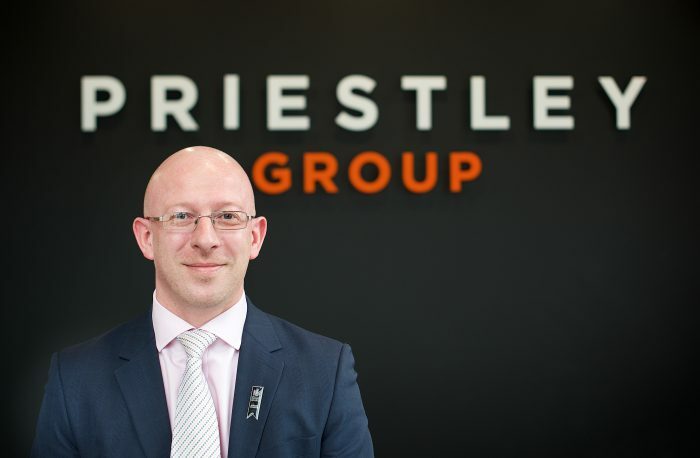 Derry joined the Priestley Group in April 2010 as Priestley Lettings Head of Maintenance. Derry then continued to grow with the Company, taking on various roles before progressing to her current senior role of PA to our CEO and general office manager. Derry is based at our head office in Leeds. Her experience in sales and customer services proved to be valuable to the group. Derry works across all companies in The Group, which now consists of 30+ companies. An invaluable member of the team. Rob joined Priestley Construction in September 2016 as Head of Construction. He is a chartered builder with many years experience within the industry on all different types of construction. Starting professional life as a bricklayer, Rob has progressively worked on honing his skills in all aspects of general construction. Progressing to site manager and moving through to Project and Contract Management on several high-profile projects. Rob has excellent communication and client relation skills, and strong practical construction knowledge, which is vital in an industry where problem-solving and a proactive approach is paramount to the success of a project. 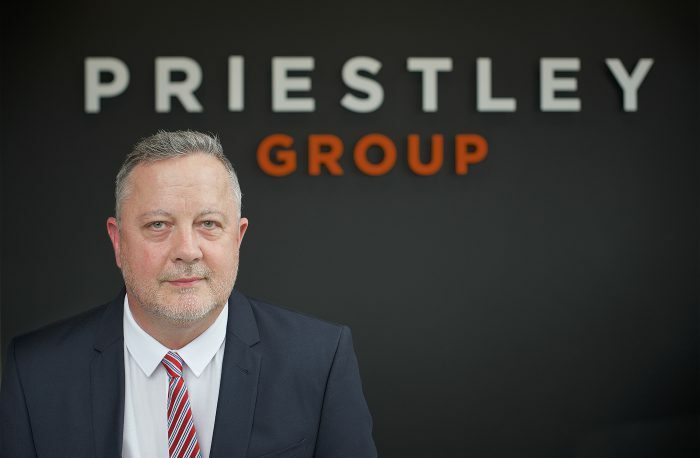 Rob’s responsibility is to drive the Construction company’s ambitions and ideas into a new era as well as acting as liaison to our development arm, Priestley Homes. ‘I am very family orientated and love to spend time with my four grandchildren as much as possible, doing everything that a grandparent loves to do. This keeps me active, although I am keen to keep up my outdoor walking, as well as DIY. 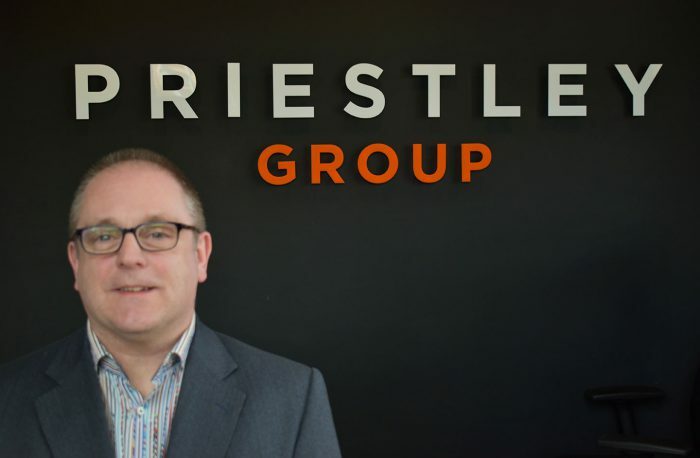 Mike is the Head of Finance based in the Leeds office and has been with the Priestley Group since July 2014. Having worked in finance for over 19 years advising SME’s and large multinational corporations along with the UK and foreign governments, Mike brings a wealth of experience to the Accounts team. 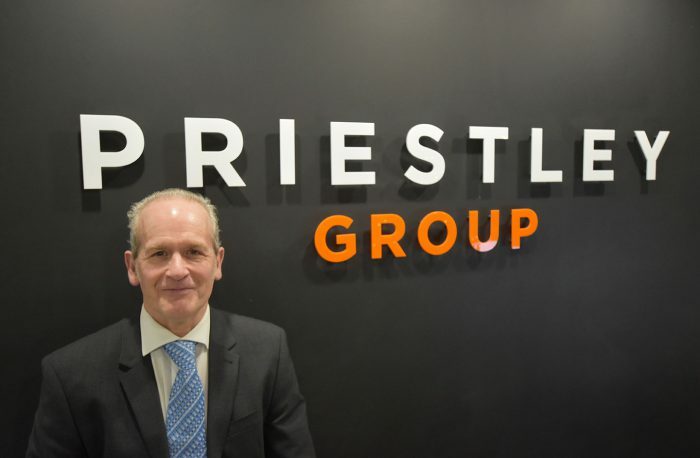 After working for PricewaterhouseCoopers (PwC) and KPMG for 15 years, Mike utilises his skills across the Priestley Group and enjoys the challenges a fast-growing group presents. David joined the group in 2019 as an architect. An experienced technologist with a track record of delivering projects from £500k to £10m plus in value. David has a meticulous eye for construction detail and unlike some architects, understands all elements of construction. David works for Priestley Design but regularly works across the group for Priestley Construction on all of its projects. Mark joined Priestley Construction in 2018 as our senior QS. In charge of the QS department, Marks wealth of experience and talent in this sector is going to be a great asset to the company as we embark on huge expansion plans and some of the toughest projects to date. As well as directly taking part and overseeing our tenders and on-site project surveying, Mark is bringing in process changes to improve efficiencies for our many clients to benefit. Oh, and not to mention some cost savings for those clients! 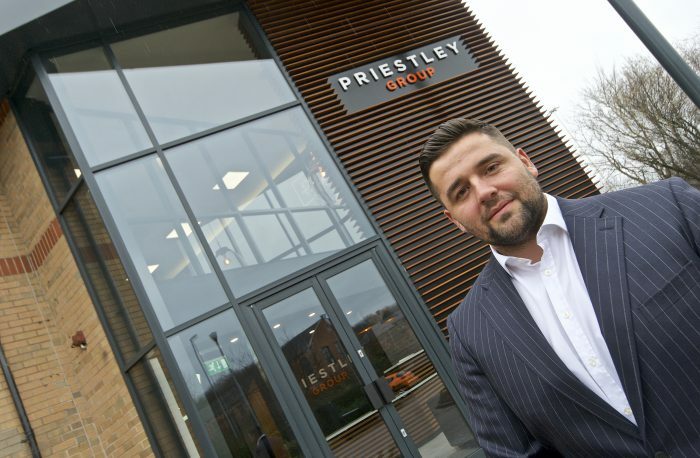 I’m Looking forward to contributing to the growth of Priestley Construction and the exciting projects in the pipeline. When not working, I like to spend time with the family, road cycling, walking the dogs, and tending to my bees! Jason joined Priestley Construction in August 2018 as an Assistant Quantity Surveyor. He completed his HNC in Construction and the Built Environment and has worked on a variety of projects from grade 2 listed buildings to Shopfitting and Retail. Jason has gained his experience through closely working with Clients, Architects and the supply chain to be able to deliver projects successfully. I really enjoy my job and I like researching the buildings I am working on. I think it helps deliver a successful project if you understand the client’s vision of the finished product. In my spare time, I enjoy cycling, watching football and going out for meals with family and friends. Gail joined in August 2018 as a project manager. With many years of experience within the construction industry and having worked within the rural regeneration, residential and commercial sector with particular experience in dealing with heritage and listed buildings. 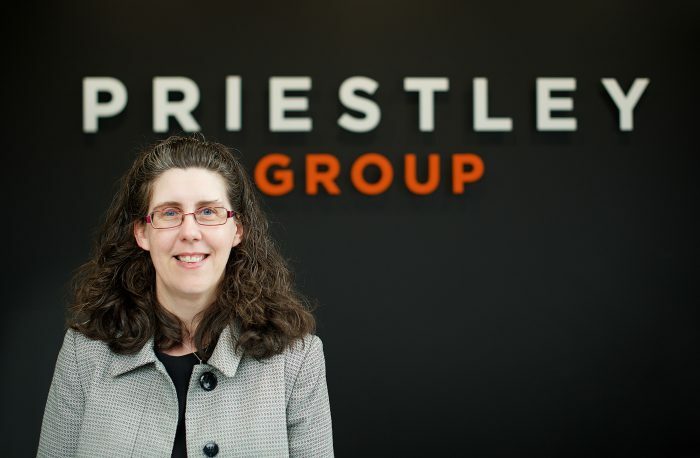 Actively involved in all aspects of the project life-cycle, ensuring continuity from concept to completion, Gail heads up a team of site operatives, subcontractors and consultants to ensure the high standards set at Priestley Construction is adhered to. I am a very keen sportswoman, representing my County in Hockey and my Country in Rounders. 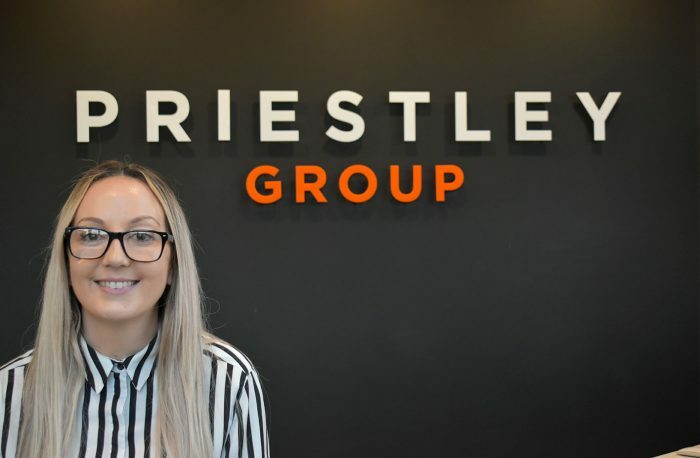 Having a work-life balance is very important to me and I feel Priestley Construction is an avid supporter of this and look forward to building my career here. 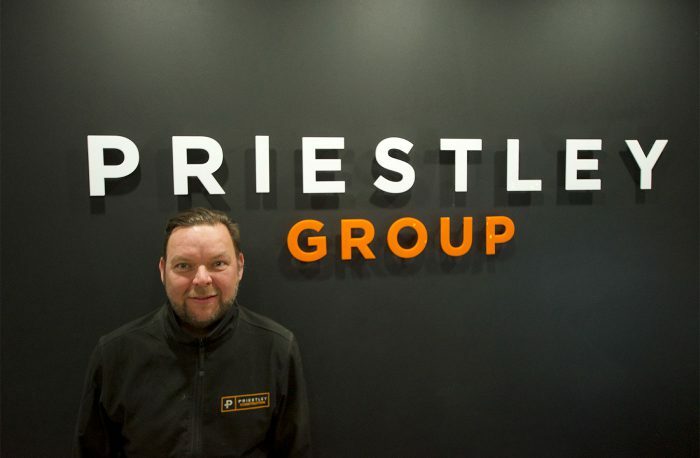 Graeme joined Priestley Construction in 2018 and immediately went on-site at James Street apartments as our no.1 on site. With a wealth of site management experience and a love for converting existing buildings, Graeme has come to the right company where his love for converting old buildings into modern and stylish homes and workplaces can flourish. I love spending time with my family, going on walks with the dog, or other adventures when we have the time. I also like to play golf and spend a lot of my own time reading. I like to go back up to Scotland whenever I get the chance. My great passion is working in this industry, and get great satisfaction from finished projects, this ties in with my other great passion ancient architecture and construction. 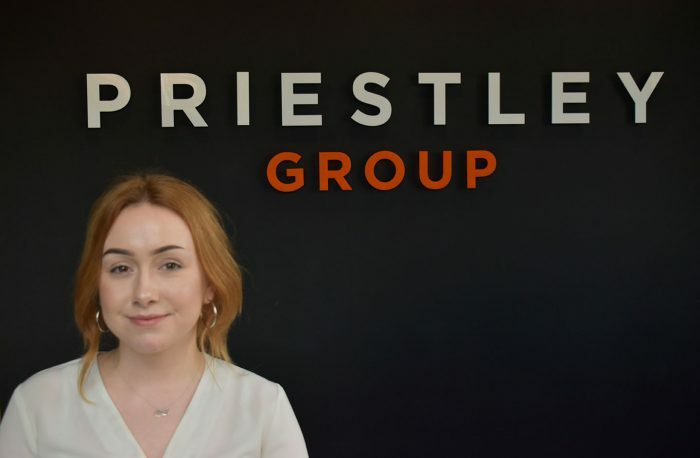 Emily joined Priestley Construction in 2019 as an assistant QS in training. Although still young, Emily has enjoyed success with some big construction companies and worked alongside our Senior QS Mark Tilley previously. 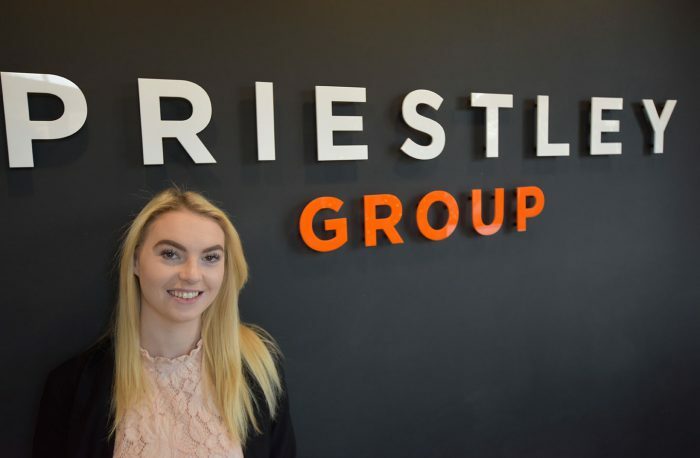 Emily hopes to complete her qualifications and progress her career with Priestley Construction over the coming years. When not at work, I like to spend my time painting or playing the guitar. I’m a huge lover of live music and try to go to as many gigs as I can – I managed to see 65 different bands last year! I also enjoy going out at the weekends with friends and love spending time with my younger brothers (when they’re not being irritating). Dimitrios joined the design team in 2017 and has gone from strength to strength. Working on recently successful projects such as Hanover House, Leeds and 12 Picadilly, Bradford, Dimitrios’s eye for detail is unrivalled. With a keen interest in value engineering and space design. Dimitrios is also an expert in BIM and provides clients with a great insight into what their projects can achieve. Julie is our senior bookkeeper, working closely with the finance manager across all of the group. Julie is a senior member of the accounts team as a senior bookkeeper and accounts manager. 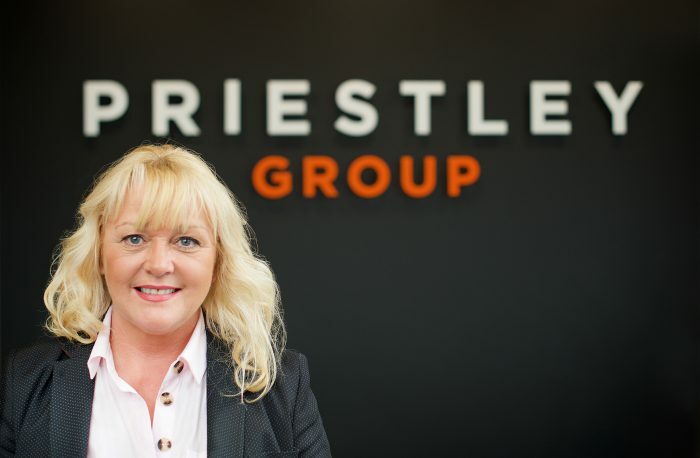 Julie is based at Head office in Leeds but talks daily with the Bradford lettings office and site offices on various construction projects across the country. Julie started working part-time in December 2014 but went full time from May 2015 due to the growth of the companies. Julie is AAT qualified and has gained lots of experience through her career in accounts. She has brought order and consistency to the Group. Julie loves it when everything balances and matches! When not in work, I enjoy spending time with my horse River and shopping online. My weekends are usually spent going out for food and drinks with my friends and family but when I’m not doing that I’ll be slouched on the sofa catching up on my soaps. Laura joined the group in 2017 as our front of house receptionist. Having excelled in all aspects of her work, Laura was promoted in 2018 to Office manager for the group. Laura looks after all things HR and the day to day running of the office. 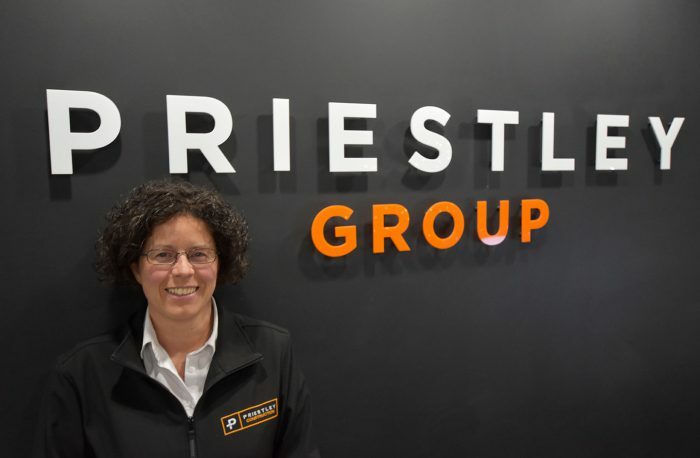 A very popular member of the teams in all of the Priestley Group companies with many more years to come. In my spare time, I am a key team member of the Holmfirth Hotshots Netball squad. I enjoy going on holiday to new destinations, eating out and most of all, planning and hosting my annual Halloween party.